ACREW and IMS Shipyard partnered up to bring Superyacht Crew in the South of France an exciting professional development event this winter. Building on the success of last year’s event, ACREW was pleased to return to IMS with a mission to create something even greater and grander. Always a welcome distraction in the winter months of refit, the event provided two days of specialist professional development workshops delivered by our industry leading partners. 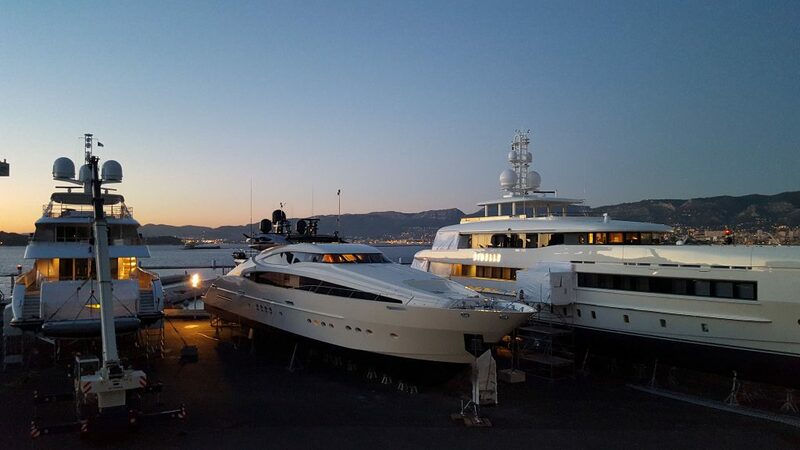 In April 2015 IMS Shipyard completed works at the new IMS 700 facility in Toulon; a €25 Million project to convert a former naval base into a state of the art superyacht refit facility. CEO Denis Pellegrino had proudly confirmed that the IMS Shipyard (IMS 300 and IMS 700) is now the largest repair and refit shipyard in the Mediterranean. IMS Shipyard is unparalleled in its ability to cater for up to 100 yachts from 20m – 80m LOA simultaneously. Understanding the importance of client care, IMS Shipyard have invested in quality crew facilities as well as turn key services during the refit.